Fans of 80s action adventure cinema; ‘Big Trouble in Little China’ and the Indiana Jones series will love ‘To Conquer Heaven’. Felix Long did a good job of allowing my interest level to keep rising throughout this book. Anyone who reads any of my 3 books will realise that I love poetry and quotations and the first thing I did was to read all the Tao quotations he included. I googled Tao to get the exact definition although my first guess was that it was some form of “philosophical teaching” from ancient China. Tao means “the path” or “the way”, so I knew I was now in for an adventure leading up to something. What better pair for this suspense than two college friends with a history (Jeremy and Brett) who had their own adventurous days back in college. Now they are in China to embark on a different mission… mystery mission of finding the lost tomb of China’s first emperor. Another one that I had to mark for reference; “The two seasons; deepest winter from above and nascent spring from below, created a juxtaposition that drew the scene into the land of legend sitting only a heartbeat away behind a translucent river of time.” Nothing technical here about the writing… just brilliance… LITERARY BRILLIANCE. Shakespeare and Thomas Hardy arise and take a peek at “To Conquer Heaven”. The author’s bio states that he is a Technical Writer by day, but as I said there is nothing technical about his writing acumen. The superior writing and imagery for this thriller/action/suspense novel is crisp, clear and flows lawlessly right throughout. If I could give 6 stars, I would. YEP! 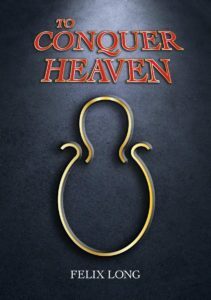 To Conquer Heaven kept me up late and had me reaching for my e-reader several times throughout the day. Though it’s a dense 370 pages—absolutely packed with details—I put it away in fewer than 48 hours. I’d say the book was a cross between a Dan Brown novel and an Indiana Jones adventure but Dan Brown never showed this level of mastery of English vocabulary and Indiana Jones’s escapades never got this dark. There are hard consequences here, a fact I appreciated given the glut of formulaic, G-rated literary journeys today. In the opening chapters we meet young, reserved, doctoral scholar Jeremy, a Canadian born to Chinese parents who is still trying to earn back their respect after a single night of debauchery in college. But he might be able to reverse his fate with a recent discovery: a document that may just pinpoint the location of one of the greatest archaeological finds of our age. He drops into Macau to rustle up financial backing from his former college roommate, Brett—a Texan born into money who disguises a neglected childhood with a brash attitude and politically incorrect humour. The linchpin to their mission of discovery is Saffiyah, an Egyptian daughter of famed archaeologists who is an expert on the First Emperor of China, and whose mentor, Jin, joins the expedition under an aura of mystery. 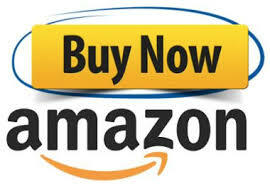 The characters are unique, well drawn, likeable, and each has a secret to reveal as the story unfolds.